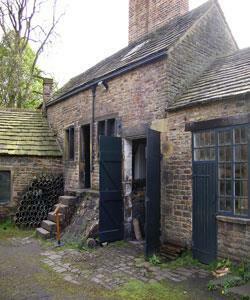 Abbeydale Industrial Hamlet is a beautiful setting for a day out. As well as the fascinating buildings and features of the site, there are activites and facilties to add to the enjooyment of your visit. Originally called Abbeydale Works it was one of the larget water powered sites on the River Sheaf. The main products of the works were agricultural scythes, but other edge tools were made too, such as grass hooks and hay knives. 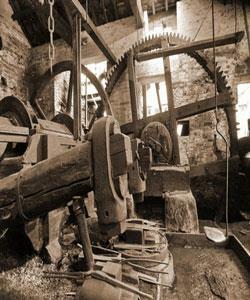 At the Hamlet, you can see waterwheels, tilt hammer, a grinding hull and the only intact crucible steel furnace surviving in the world today. The site is a Grade 1 Listed building and a Scheduled Ancient Monument. The site has a cafe and gift shop. Abbeydale is a working site and therefore has rough and uneven surfaces, and many areas are only accessible by steps. The works gallery contains information about the whole site and has level access. Follow the A621 signposted towards Bakewell. Continue for approximately 4 miles. The hamlet is on the left after the Beauchief Hotel. Take bus no 17 (Totley) from the city centre. the bus stops outside the attraction.